ALPHA means bending machines with dual adjustment and three driving rolls. This type of machine permits bending of very long bars, since the entry roll can be kept in a position that avoids profile waving and consequent deflections that could interfere in a negative manner on the bending result. 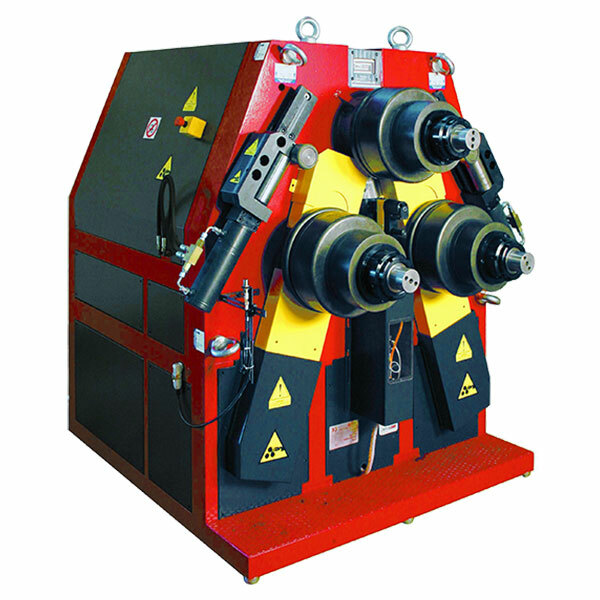 This type of bending machine can be fitted with excellent accessories for any type of process, with a particular predisposition for bending of round pipes. Furthermore, the dual adjustment makes it possible to obtain variable radii that are very different from each other, on the same bar of material. This type of machine is appropriate to bend important section bars, such as very thick pipes, H, I and U beams, ribbed plates, solid profiles (round, square), etc.